If you’re not already using a password manager, this is the most important article you’ve read all year. We’re used to protecting our most valued possessions with keys and number combinations. You wouldn’t make the combination to your safe 1234 or use the same key for your door that half the neighborhood has. When you think about your passwords in the same light and understand that they need to be unique and hard to guess, it becomes abundantly clear that you should NEVER use any of these passwords. Whether it be emails, pictures, health records, or that novel you’ve been working on, your most private and personal information is hidden behind just a few keystrokes. 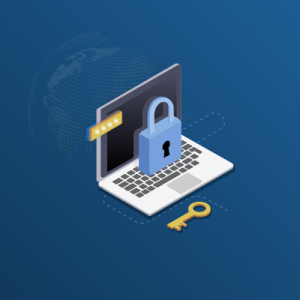 To keep your information safe and private, you MUST follow best password management practices, which recommend a complex password comprising of at least 12 mixed characters. Best practice also dictates that you use a different password for each account you own, which is easier said than done. Short of having photographic memory (I sure don’t), you need to have a safe way to store passwords for your email, social media, and banking accounts to name a few. In 2016, the average person had to keep track of 27 passwords! Seeing as we need to update them at least twice a year, there’s no way to remember all of them. The solution to this problem? Password management tools. There’s no shortage of these tools, which have been around for a while. Below, we’ve investigated the best password management tools in the industry for keeping track of your ever-growing list of complex passwords and shared our findings with you. 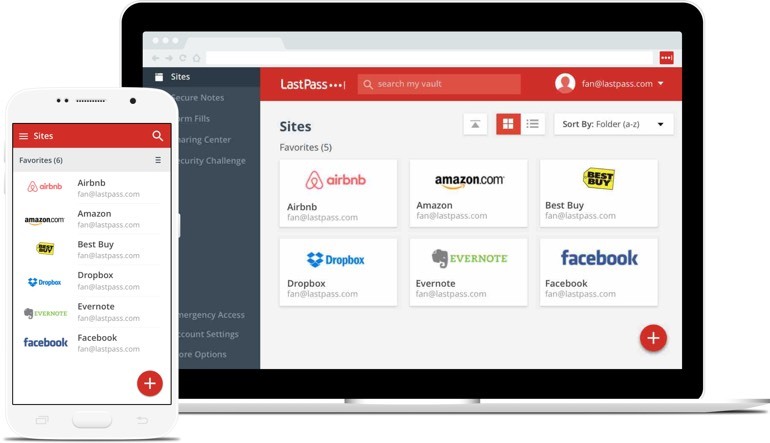 LastPass is an excellent free password manager you can use with Chrome and Android. One of the most respected tools in the industry, it boasts a five-star rating in the Chrome Web Store with over 19,000 reviews and nearly 5.5 million users. 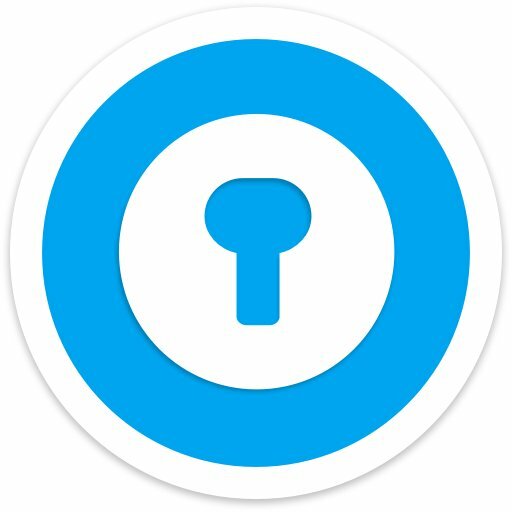 This password manager saves your passwords and offers secure access from any computer or mobile device. With LastPass, you only have to remember one master password to access all your online accounts. (Make sure the master password is secure!) Although you can have Chrome remember your login and password to each site, we do not recommend this practice. LastPass will auto login for you when you visit a site, however it is much more secure than having Chrome remember your password. You can also checkout from online stores faster when you add credit cards and shopping profiles. Think of LastPass as a secure online wallet and one-stop-shop for all your online accounts. 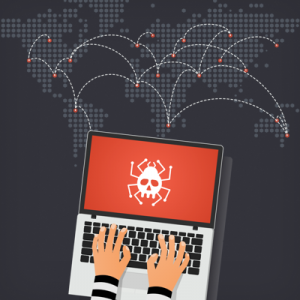 Even though smug Mac users claim Macs can’t get viruses, they’re wrong. One of the best password managers for the Mac OS is 1Password. Similar to LastPass for Chrome, 1Password works on your Mac to keep all your important account password and login information private and secure. With all the look and feel of a typical iOS app, 1Password serves as a secure way for you store everything in one place. 1Password is integrated into your favorite browser and allows you to sign into any account with a single click. Sign into any of your current supported apps on your Apple device without the need to enter your password or username each time. While it is difficult to list just one password manager in general for PCs, Dashlane is an excellent choice for cross-platform password managers. LastPass receives honorable mention because in addition to being an excellent choice for Chrome, it has cross-platform capabilities as well and serves to protect IE, Mozilla, and other browsers – but it works best with Chrome. DashLane works by encrypting account passwords and other private information with AES-256 bit encryption on a local machine. This manager then syncs your information with DashLane’s online server to allow you access to your accounts anywhere. Dashlane also has an automatic password changing feature that can update your account passwords so you don’t have to do it yourself. You still get all the convenience of having all your passwords in a single location with the power of AES-256 bit encryption behind it. 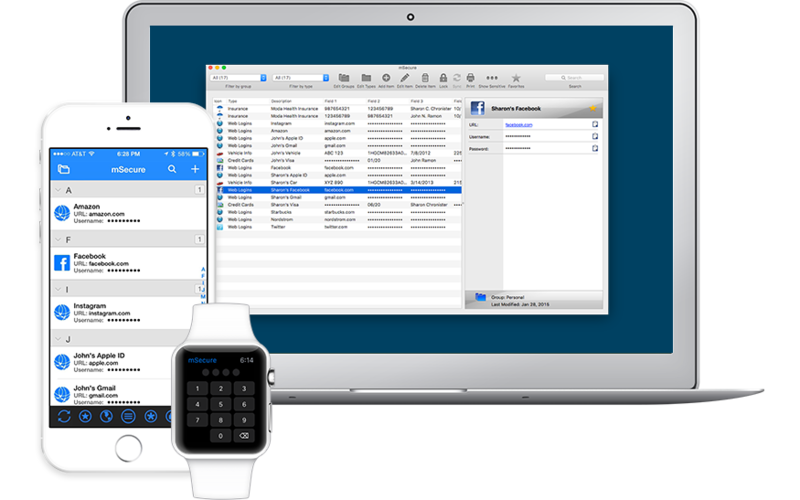 LogMeOnce is an excellent cross-platform password manager that works with Mac, Windows, iOS, and Android devices. This password manager is well known among enterprise level systems because of its wide variety of options and features. The Mugshot feature is the most notable because it will track the location of your device if it is stolen and will use the camera on the device to take a photo of the person who stole it while they attempt to access your account information. This feature sets LogMeOnce aside from the other password managers through a layer of physical security the other password managers do not offer. 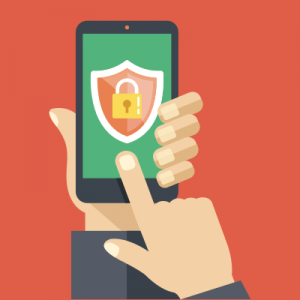 LastPass and 1Password are excellent choices for Android, however; Enpass is the most user-friendly password manager for Android users. Enpass allows you to store your passwords on your own cloud service while encrypting the data before syncing it up with OneDrive, Dropbox, etc. This offers a different option for users who wish to store passwords on their own cloud without having to add additional functions to their device or opening up a separate app. 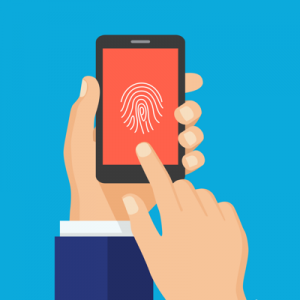 Enpass is also fingerprint enabled while many other password managers are not. 1Password works well for both Mac and iPhone, however; mSecure is designed for mobile use. mSecure has a customizable tagging feature that allows you to organize and filter items to track what you need easily. You can add favorites to a special folder and sort by date, type, and group, as well as create passwords within the app and have the app generate a random password for you based on the criteria you set. Like DashLane, mSecure uses 256-bit encryption. In addition, you can use your Apple Watch to access your passwords and use the app across multiple devices. With a bustling market of excellent tools, there’s currently not a clear winner for “best all-around password manager”, so we chose based on mixed criteria according to versatility, UX, and security – Dashlane and LastPass tied for top of the list. Both password managers are cross-platform products that enable you to save all your passwords to every site you use securely in one place. 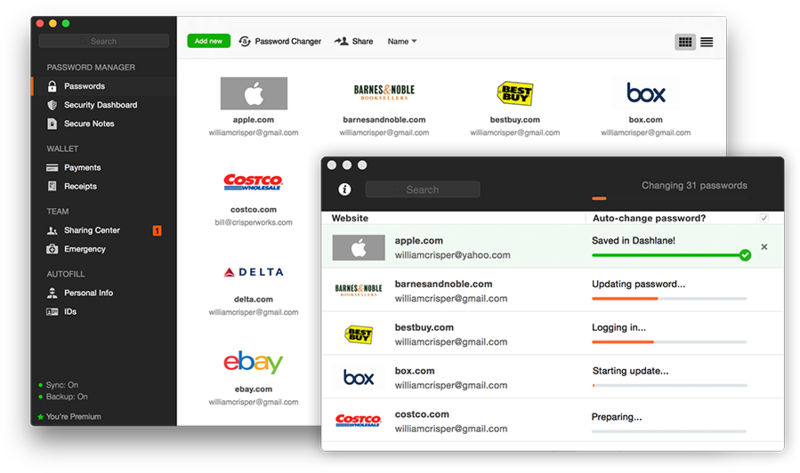 Dashlane is one of the newest password managers, but the features it offers work with nearly every platform. 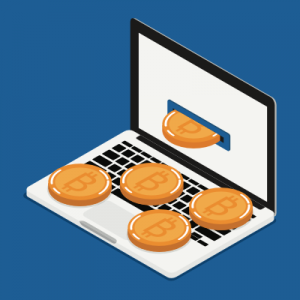 The strongest feature for Dashlane is the AES-256 bit encryption is uses to sync passwords online to give you access to your favorite sites anywhere. 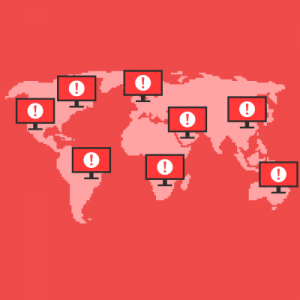 LastPass also uses AES-256 bit encryption, works with many of your favorite browsers, and offers multiple two-factor authentication options to protect your passwords. 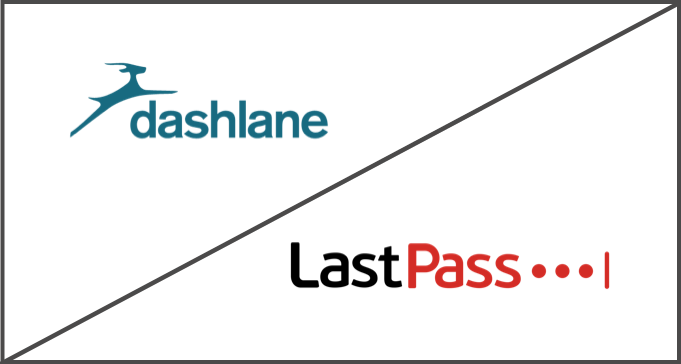 Like Dashlane, LastPass also serves as a powerful cloud-based option to secure your passwords in one place. It’s 2017, and if you’re not yet using a password manager, now is the time to start! Without one, you’re opening the door for trouble, and the stakes are high. Share this article so your friends and family take this essential step to protect themselves. 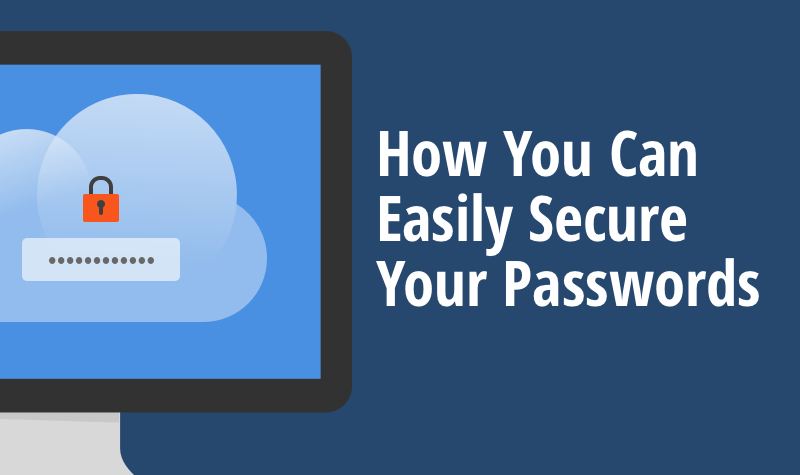 A good password manager isn’t the only tool essential to a safe browsing experience. Be sure you have a tool to check link safety to prevent you from unwittingly browsing to an unsafe site. Are you using a different password manager than the ones we mentioned? Comment and let us know what you think is missing. *Images of the recommended tools in this article are the property of their respective companies.